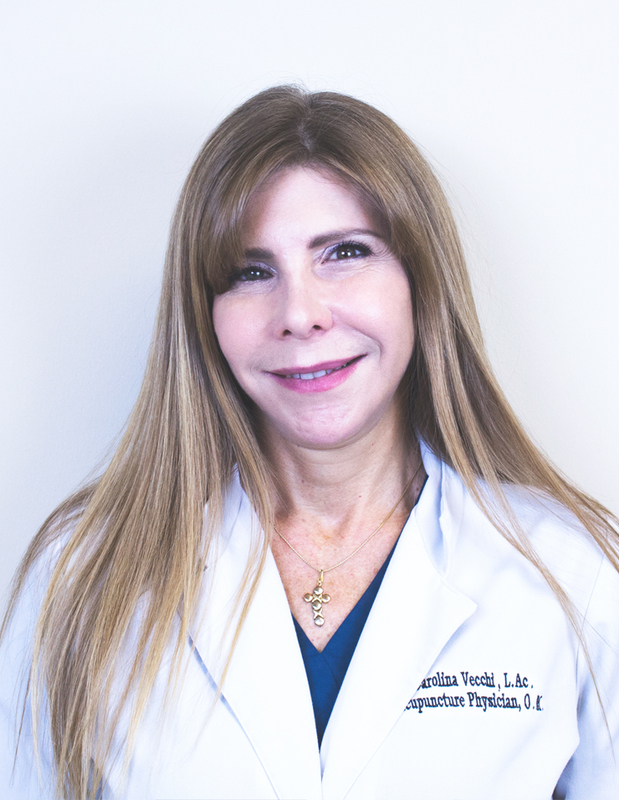 Dr. Carolina Vecchi holds two careers as B.S in Health Science , and B.S in Chemistry and a Masters Degree in Oriental Medicine. License by the state of Florida, She has practiced Internationally in different places like Italy, Mexico, Venezuela, Argentina, Santo Domingo, and more. Dr. Carolina has been invited as a guest speaker to different Universities and Holistic Medicine events around the world. Being trained in the field of chemistry, Nutrition, and Oriental Medicine, her Areas of experience and strengths include: Acupuncture, Homeopathy, Detoxification and weight loTherapy, Extraordinary Vessels, Pain Management, Herbal Medicine , Moxibustion, Auriculotherapy, Nutritional Coaching , Facial Acupuncture, Cupping, Infertility, Impotence, Nutritional Coaching. You deserve professional treatment with our world wide recognized health physicians.